Kyle was born and raised in Central Oregon and received his BS degree in Engineering from Colorado School of Mines. 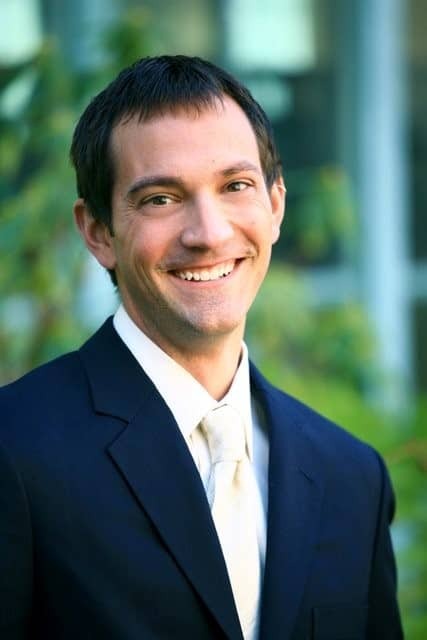 In 2003, Kyle joined Accenture’s Seattle office in the communications & high tech practice. As a consultant Kyle leveraged his problem solving background emerging as a leader focused on driving supply chain and sustainability solutions for clients. Starting in 2007 Kyle managed the development of Accenture’s supply chain sustainability practice establishing various offerings to address resource usage, climate change, and social programs. Kyle went back to school in 2009 for his MBA from the University of California, Berkeley. While at Haas, Kyle was involved with many projects in the tech and sustainability space, including an internship with Dow Chemical in the new product development. Kyle returned to Accenture and spent 4 years in the technology strategy practice working on business model, operating model and M&A projects. Over the past 3 plus years he has worked at Porch.com, a venture backed startup in Seattle working to solve the challenges in home improvement. Currently Kyle is VP of Strategy and has been in leadership roles in product, analytics, and operations through his tenure. Kyle enjoys spending time with his family, including wife and two sons, and getting outside to trail run, cycle and ski. If Kyle had not pursued a career in engineering he likely would have joined the craft beer industry. First 1 ½ years: This first period of time was full of the excitement of college, but faced more downs than ups. I went to a small university focused on engineering and science. I had not thought through the implications that having a school with a higher than average ratio of introverts would have. At the end of this phase I had applied to a few schools to transfer for my Junior year. The Turnaround: The next phase was sparked by studying abroad. During my sophomore year I studied at the University of Leeds. This change of pace was amazing, despite a minor medical setback. I had a chance to visit 20+ countries and meet amazing people. Through this experience I realized my disappointments were largely in my control. This change the trajectory of my experience at Colorado School of Mines. The finish: My last two years were awesome. I built great relationships with friends, including many international students. Where there were voids I filled them. This led me to a second study abroad at the Technical University of Munich. Through this phase it harnessed by curiosity and desire to learn. Downside was that I hadn’t spent as much time thinking about my career – partly because I thought it would take 5 years to graduate, but was able to get done in 4 years. Why did you Seek out a career in strategy? My first job after college was working as mechanical engineer intern for Precise Flight, a small aircraft parts company. My role was essentially a product manager. In my role I was able to design new products using 3D modeling, run calculations to determine the best design, and test existing products to pass FAA qualification. This job was a great taste of engineering. At the end of the first summer I heard back on a job I had applied for as I was graduating college with Accenture. I didn’t know everything that Accenture did, but I knew it would challenge me and give me a lot of new experiences, plus the job was in Seattle. This meant I’d be closer to home and get the chance to live in a new city. I was fired up to be in a job that was all about problem solving. My first job was at 14 as a housekeeper. I worked alongside some people much older than me. It was a minimum wage job. It taught me work ethic and to have a positive attitude. The job sucked, but the people I worked with were great. This lady Flo was amazing. She was in her 70s and her stories were hilarious. To this day it has taught me to respect others, work hard, and appreciate the luck I have had. When I interview well I am clear on my stories to the most common questions. I know my fit for the role. I understand the company’s / organization’s goals and needs. I understand the market in which they operate. I am confident in what I have done. I bridge the answer to a few of the key points about me and why I’m great for the role. Similar to entering a new market or product category you assess the market and define a plan. There is one interview to this day that haunts me because I didn’t follow the above and did not get accepted into that school. Things are changing very fast in the industry, how do you keep yourself updated. What is one thing you thought you knew but later found out you were wrong? Early in my career I thought there was no way I wanted to touch sales. This was because my only experience with what I classified as sales was the traditional salesman. As my career has progressed I have a great appreciation for sales and how it is really about relationship building. This shift in mindset has allowed me to be much more successful in my job. I treat every interaction as a relationship building exercise to understand their needs and how to fulfill their needs. Your CV is a story of you. What matters most to you, to the role you are applying? Your CV should be crafted to each individual job you are applying. This should be small tweaks if you know what you want in your next job. Advice for someone looking for job in strategy? Network. Find a way to get to meet people at the company. This will ensure that you come across proactively, but also increases your chances of being seen in the candidate pool. Know yourself. If you know your strengths, your desires, your story, you will come across well and be judged on your qualifications. Lessons from jobs that you couldn’t get. At the time it was disappointing, but in retrospect they helped me to figure out what matters most to me. I feel that job interview processes, especially in tech, do a good job finding the best candidates for the role. Graduate High School. High school was great. Lots of amazing friends. There were ups and downs, but mostly ups. Graduate University. I finished college on an up note and despite a poor economy after the dot-com bust I was able to do some interesting work. Get Married + Start B School. I married my amazing wife and then we drove down to Berkeley to start business school, which was amazing. First Son + Promo to Senior Manager. Having a kid is amazing. On the day of my first son being born I found out I was also promoted to Senior Manager. It was a momentous day that I’ll never forget. Second Son + New Job. I changed jobs before my second son was born to be closer to home and try the startup world. It was a refreshing change and my second son has been such a great addition to the family. End of Freshman Year of College and Losing my grandparents within 1 year. I was also feeling depressed at school. Things weren’t how I wanted them to be. I studied abroad the next year and that changed my whole perspective. 100-hour work weeks as an analyst. It wasn’t even the amount of time, it was the effectiveness of the time. It was mostly manual testing and often we couldn’t test until was code was deployed late in the day.